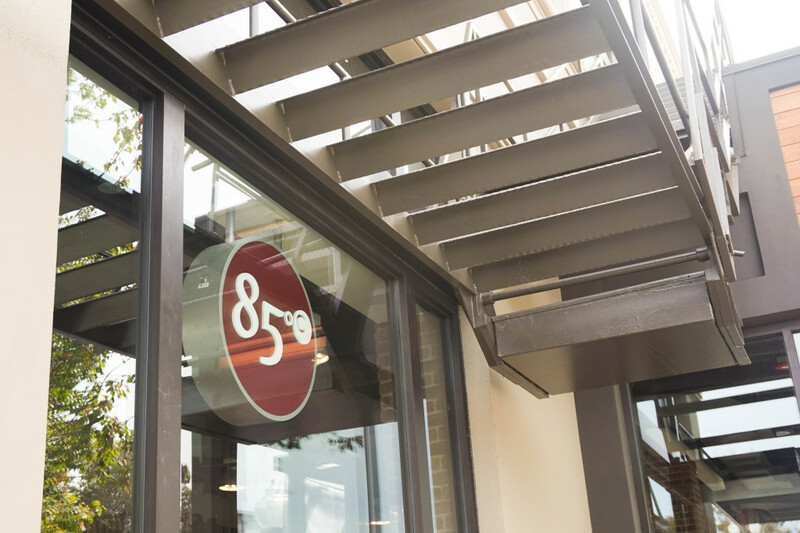 In November 2014, our team at Spoon University at Berkeley heard that 85ºC Bakery Cafe would open a storefront in Berkeley. Rumors flew until August when construction finally began in earnest. 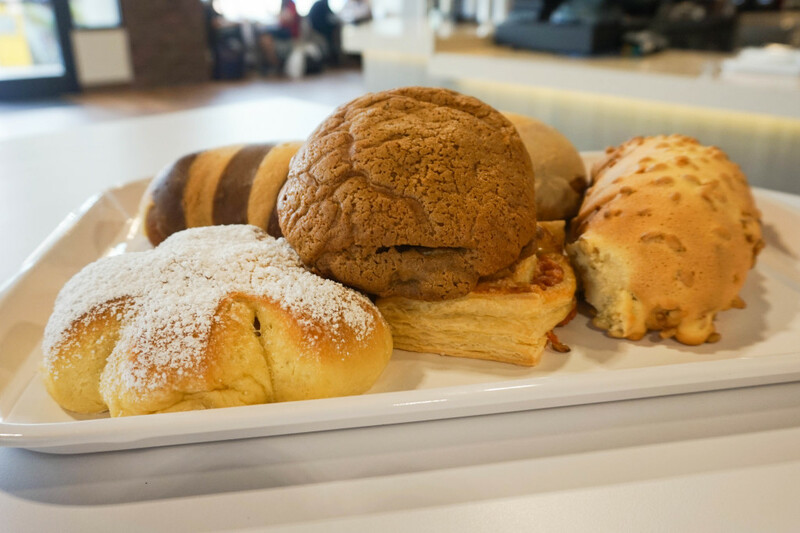 On October 2, 2015, 85ºC Bakery Cafe will host its grand opening. The cafe opened its doors for a soft opening in mid-September, so we decided to swing by to give you all the tasty, carb-filled details we could get — in case you needed more hype for the big day. 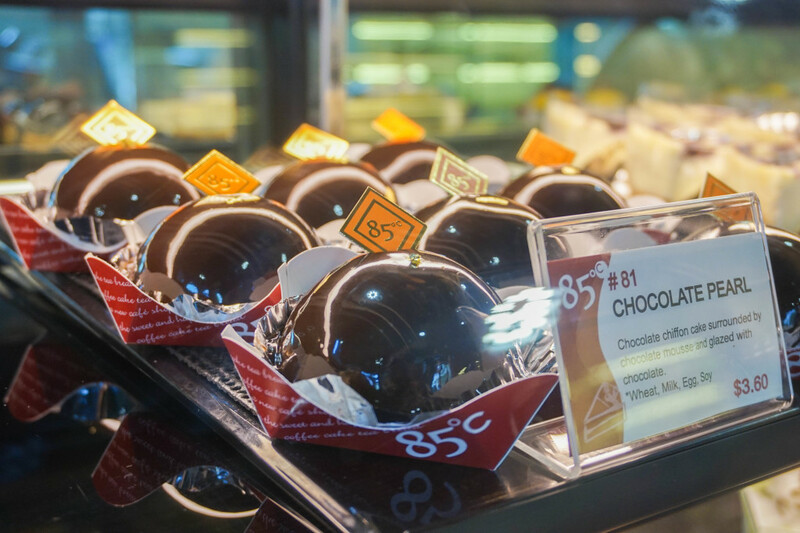 85ºC Bakery Cafe is a Taiwanese bakery and cafe that bakes and sells fresh, gourmet breads, pastries and cakes daily. Although this chain is originally Taiwanese, its bread selection ranges from simple toast loaves and danishes to Taiwanese, Japanese and even European style bread rolls. Their cake selection boasts a wide selection ranging from a mango creme brulee to strawberry tiramisu. For smaller celebrations, the cafe also sells single cake slices in some exclusive, slice-only flavors. 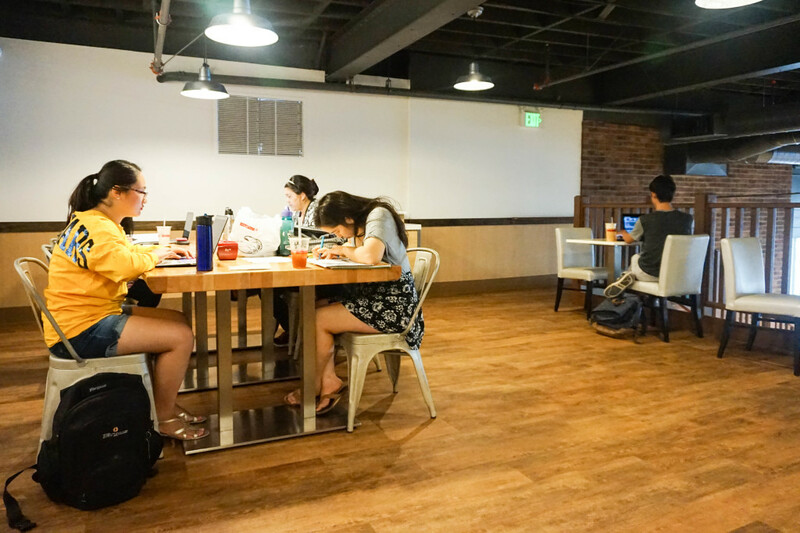 The cafe’s selection of beverages features espresso coffee made from Guatemalan coffee beans, smoothies and — of course — milk teas with a variety of toppings. The offered flavors include everything from decadent a cookies and cream smoothie to the most traditional milk tea with pearl. During our visit, the cafe was quite busy — not uncomfortably crowded, but pleasantly filled. The cafe’s two floors of seating made the space feel more welcoming. Although the first floor was filled, it was easy to find room on the second floor among the other patrons. Conversations, ranging from parents talking over kids strapped in strollers to study sessions for an upcoming chemistry midterm, filled the store. 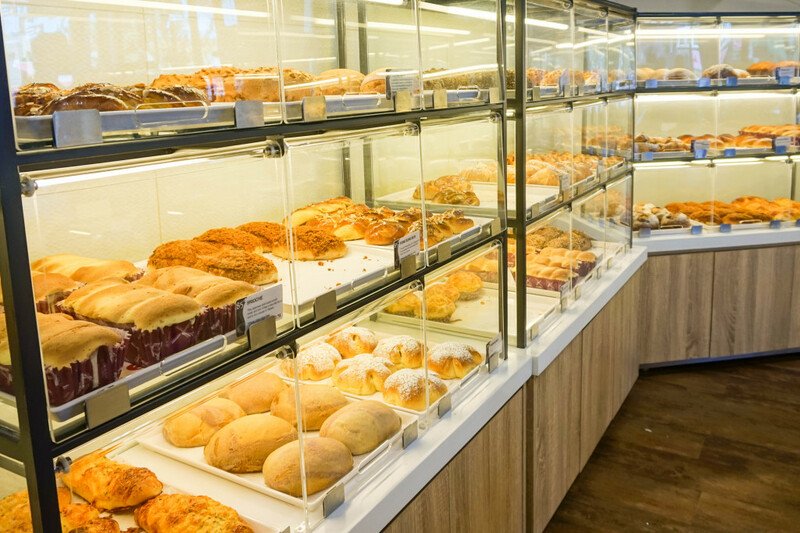 The ambient noise was periodically broken by the employees calling out, “Fresh bread!” as new, freshly baked goods came out of the bakery and filled the glass cases lining a nook in the store. We went all out with our purchases: Pine Nut, Marble Taro, 85ºC Coffee Bread, Mocha Bread, Premium Milk and Cheese Guava Danish. Each of the breads was, of course, freshly baked and brimming with delicious flavors. 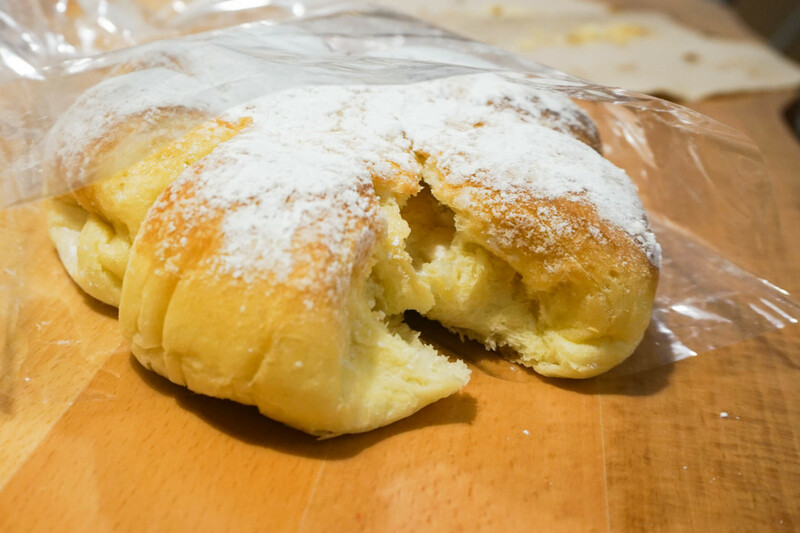 The bakery is generous with its fillings, like the red bean and mochi hidden within the 85ºC Coffee Bread and the taro inside the Marble Taro, but is careful to not overwhelm. The taste of each bread is strong enough to stand on its own in the bites where we didn’t chance upon filling, but the texture isn’t too dense as to make any bite too rich. Even though the grand opening is only a few days away, we’ve no doubt that we’ll be returning for more baked goodness. To celebrate the occasion, the store will also be offering free coffee mugs for customers who spend over $20, and we already know that won’t be a problem at all.